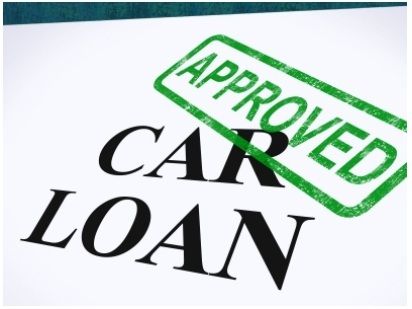 A car title loan is a short term loan for people experiencing financial emergencies. Usually, these are people who also have bad credit and are struggling to apply for any other type of loan. Applying for title loans in Orange County is very easy to do and can generally be completed online. Additionally, what matters is that you have a vehicle that is fully, or nearly fully, paid off and has no other liens on it. However, how much you will be able to borrow depends entirely on your vehicle. So how can you get a good idea of what you will get, so that you don’t have to apply for nothing? The make and model of your vehicle, which will determine its safety and reliability. Popularity and demand. Lenders prefer high demand cars as it will be easier to sell it should they have to repossess. Mileage and age, which is a huge factor determining the value. Condition, which is an obvious element. Location, particularly in relation to the type of vehicle. For instance, if you have a 4×4 with snow tires, it may sell in Montana, but not in New Mexico. Lenders will refer to the Kelley Blue Book to see what the current trade in value of the vehicle is. Generally speaking, you will not be able to borrow more than 50% of that value. This is because title loans are generally provided to high risk people and the likelihood of someone not paying their loan back is significant. A lender wants to make sure that they will be able to sell the vehicle quickly and that they will sell it for enough to cover not just the cost of the loan and the interest, but also the cost of repossession. Naturally, it is unlikely that you intend to take out a car title loan with the full knowledge that you will not pay it back. In that case, you would be far better off simply selling your vehicle, as you will also get a lot more for it. Title loans are short term emergency loans that tend to run for just one month. You do often have the opportunity to roll it over, in which case you only pay a month’s interest. However, interest rates are incredibly high on these loans, which dos mean that the loan will quickly become incredibly expensive. If you have any concern about whether or not you will be able to pay back the loan on the agreed date, you may want to consider a different method of accessing money if it is available.